Sometime since last winter, something heavy smashed the 240V breaker on the side of my portable generator. I’ve just spent some quality time trying to find a replacement. Home depot has nothing of the sort (no huge surprise). 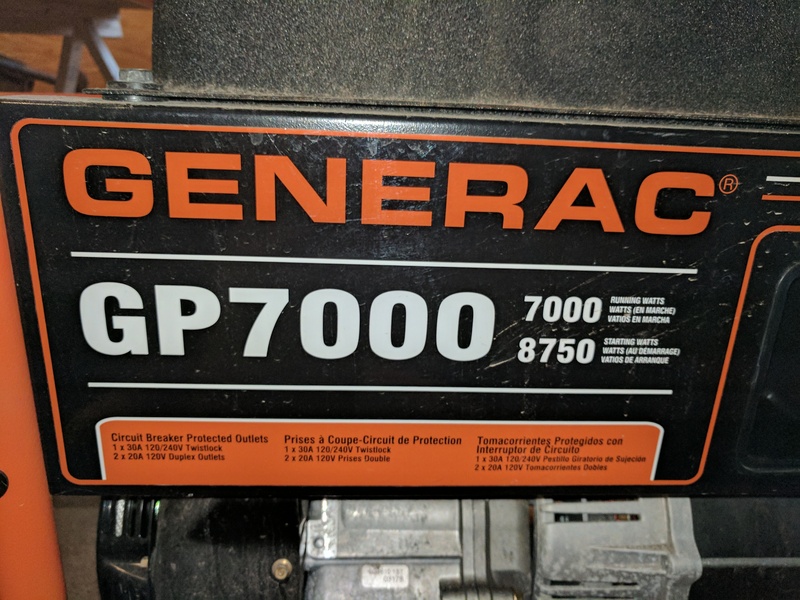 The generac website was a little helpful, but offered no clear way to order the breaker. I’ve sent a message to them using their ‘contact us’ link and I’m hoping they’ll be willing to help. box as a single part number. I’m expecting that all of the wiring, outlets and breakers in there are going to cost much more than I’m willing to pay for just the breaker. If necessary, I’ll wind up in DigiKey or somewhere similar finding a breaker whose ratings are close enough and whose physical mounting options can be made to work. I’d much rather buy the right breaker from Generac if possible.